Blue corn and Green guacamolé tortilla chips, topped with marinated chili lime chicken breast, Monterey Jack cheese, pickled peppers, cilantro, green onions and avocado. Go Hawks!! In a 1-gallon Ziploc bag, combine olive oil, vinegar, and lime juice, chili powder, paprika, onion powder, garlic powder, cayenne pepper, salt, and black pepper. Place the chicken in the bag and seal tightly. Massage the bag to coat the chicken. Marinate in the refrigerator for at least an hour. Remove chicken from the bag place in a large fry pan over medium-high heat, stir fry chicken until no longer pink. Preheat oven to 425 degrees. 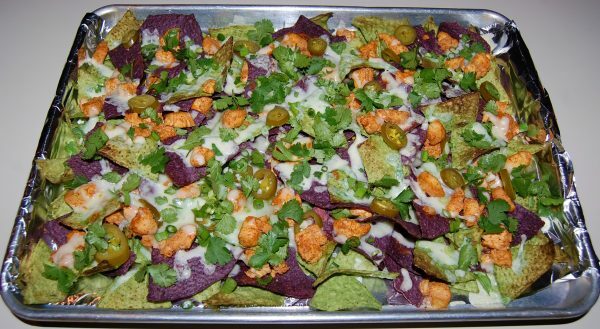 Arrange half of the chips on a large baking sheet lined with foil. Top with half of the chicken, half of the cheese, then scatter with jalapeño pepper rings.. Repeat layering with chicken, cheese, and peppers. Bake until melted and bubbling, about 5-7 minutes. 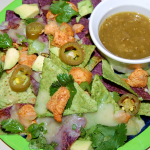 Top nachos with fresh chopped cilantro, green onions, and avocado. 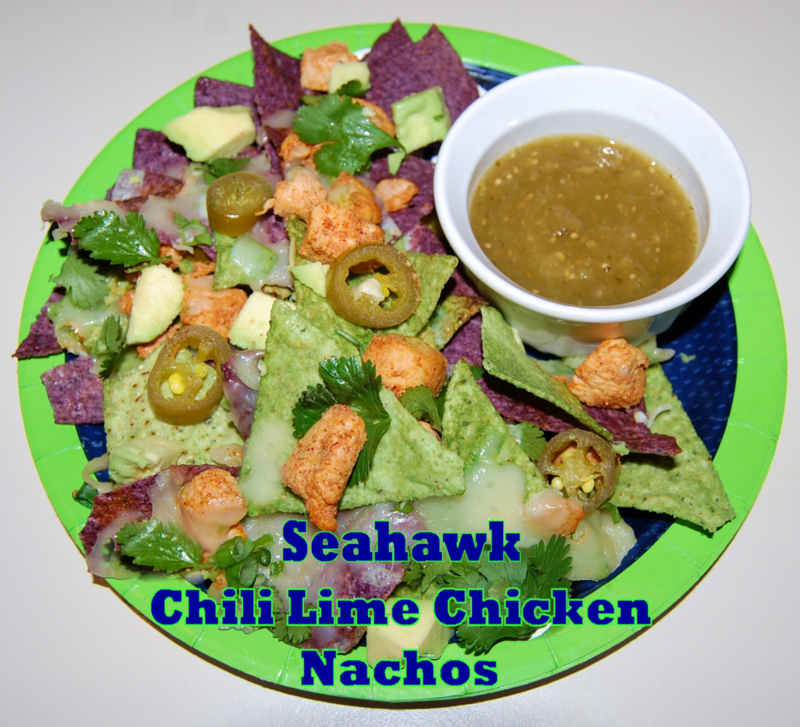 Serve with lime wedges and your favorite tomatillo salsa.